PROBLEM: Bakewell tart is yummy, but you think it must be tricky or takes a long time to make. 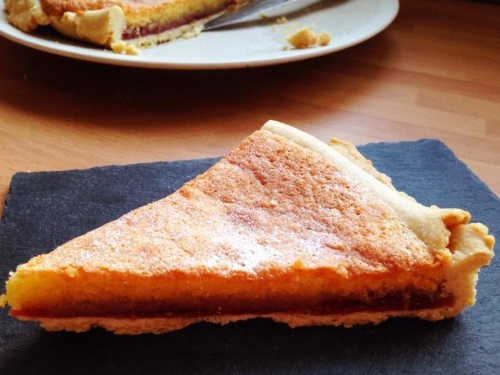 SOLUTION: Our easy Bakewell Tart recipe! We could have also called this article “How to Make a Bakewell Scrunch”, as the pastry is scrunched into shape instead of using a proper tart case, but it tastes just the same, it’s just a million times easier to make (OK, maybe not a million, but a lot). 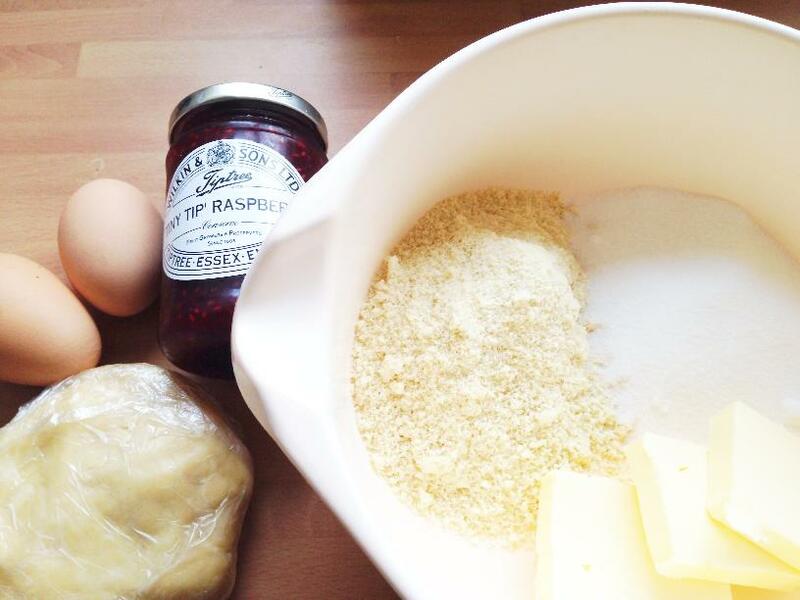 Top the pastry base with some yummy jam and our simple almond gloop, and that’s it. Rub the butter into the flour using your fingertips, until it looks like breadbrumbs. Then add 2 tablespoons of water and mix in, until it forms a ball of pastry. Add more water if it looks a little crumbly. You can wrap it up in cling film and store in the fridge until you need it–lasts up to 5 days if it’s well wrapped. 1. Mix the ground almonds, butter, and sugar together in a bowl. 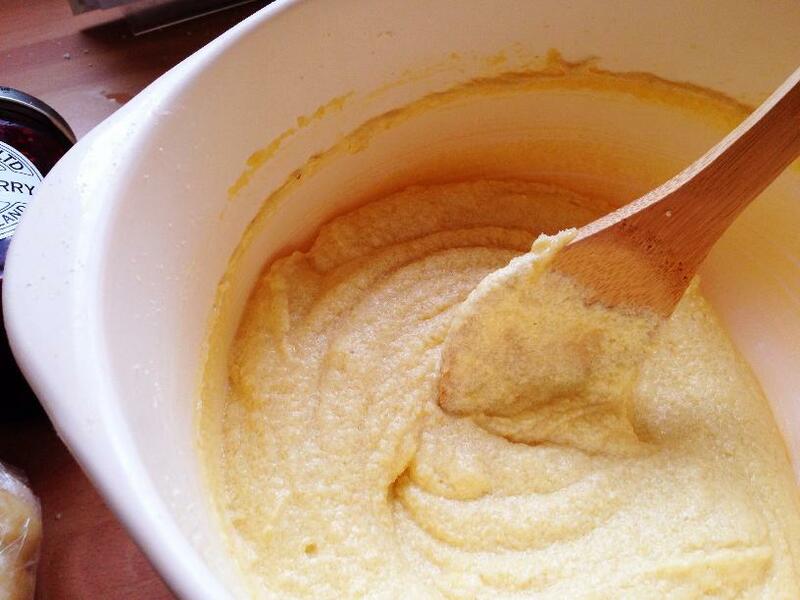 Add the egg and almond essence (if using) and stir until you have a paste. Pop it into the fridge while you do the next bit. 2. Preheat the oven to 180c, 350f, gas 4. 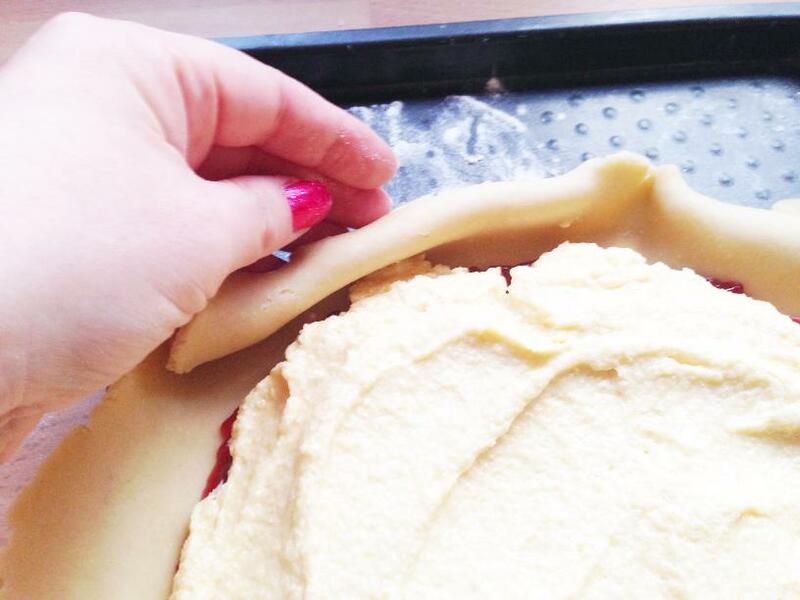 Roll out your pastry and place it onto a baking tray. 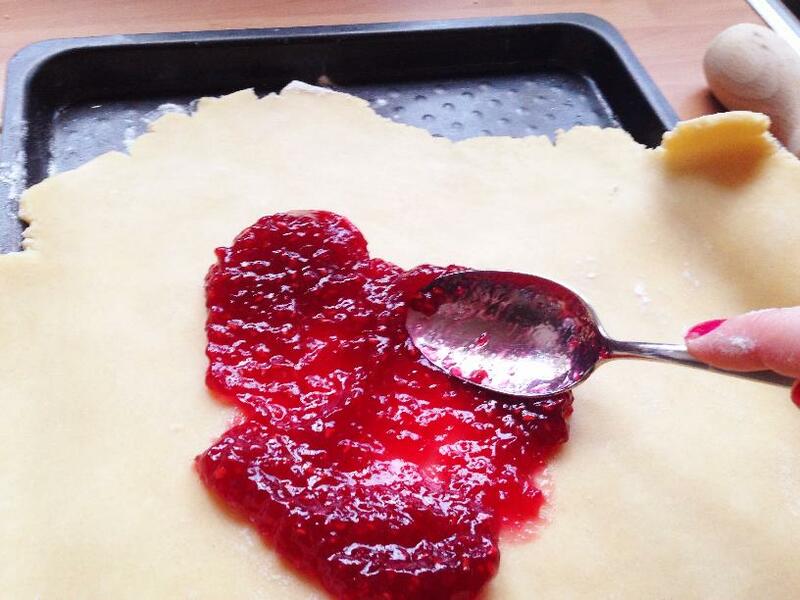 Spread the jam in the middle of the pastry until you get a rough circle shape that’s about 20cm in diameter. 3. Get your almond gloop out of the fridge and dollop it over the jam, and spread with the back of a spoon until the jam is just about covered. 4. 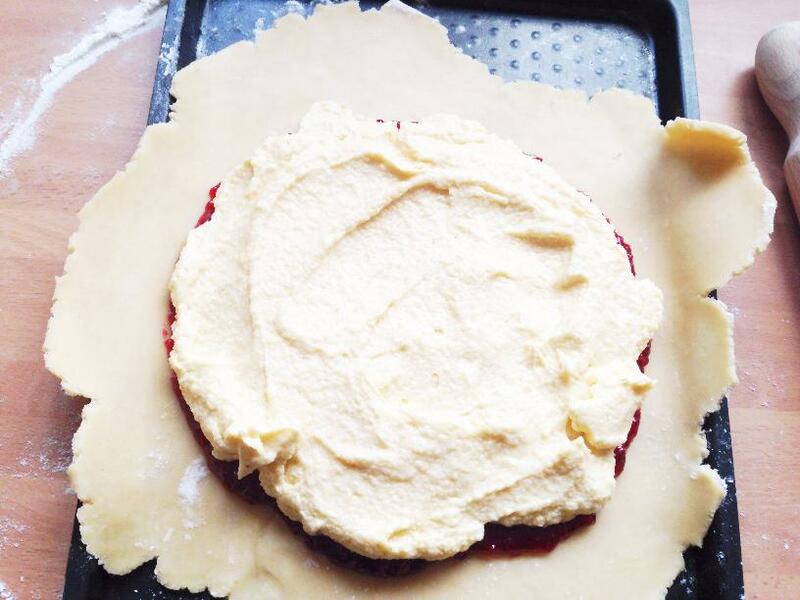 Now bring up the edges of your pastry towards the outer part of your gloopy circle and scrunch it down so it makes a wall to keep the jam and gloop inside. It doesn’t have to be neat at all, just mold it with your hands and make sure there are no gaps where the mix might be able to escape. 5. Bake in the oven for around 25 minutes until it’s a dark golden colour. 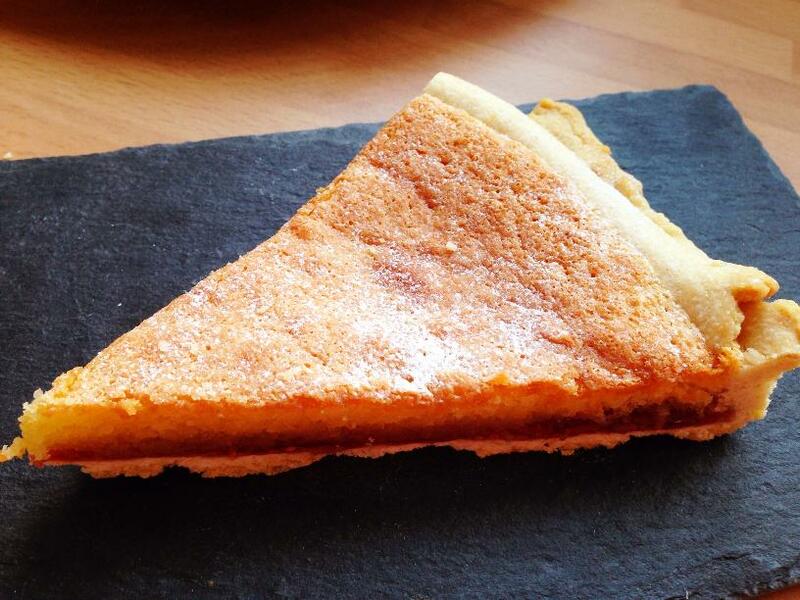 And that’s our easy bakewell tart recipe done–easy or what? Finish off by sprinkling some icing sugar over the top, once it’s cooled. TIP: If you want to be a fancypants, you can scatter some flaked almonds over the top of the almond gloop before you pop the Bakewell scrunch into the oven. Bakewell Tart or Bakewell Pudding or Cherry Bakewell? What’s the Difference? A Bakewell Pudding uses puff/flaky pastry as its base, and the almond topping is a bit more egg-custard like. The Bakewell Tart uses a shortcrust pastry for its base, and its almond topping is more like a moist sponge. 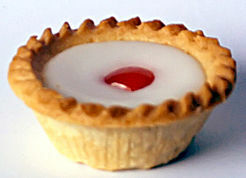 A Cherry Bakewell is the same as a Bakewell tart, only it is topped with fondant icing and a glacé cherry. The Bakewell Pudding was invented before the Bakewell Tart, and although it’s hard to say when it was invented exactly, it’s thought to have been invented by accident in the town of Bakewell in Derbyshire in the 1800s. The Bakewell Tart started to become more common than the Bakewell Pudding by the 1900s. If you’d like to keep up with new Mini Yummers recipes and fun stuff, then be sure to subscribe to our newsletter using the green box at the top of the page.